Our Lady of the Lake Parish youth ministry. It is a narration, along with music and acting. Above all, it is a prayer that helps us prepare for Holy Week. 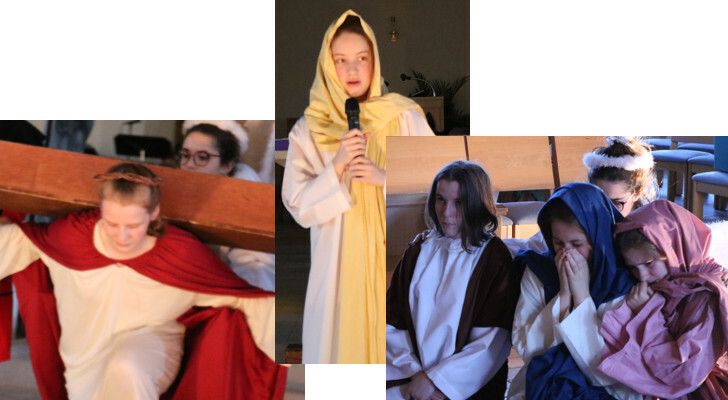 Performances occur on the Friday prior to Holy Week.